If you live in Batavia, Owensville, Blanchester, Hillsboro, Williamsburg, Sardinia, Fayetteville, Newtonsville, New Richmond, Amelia, Withamsville, Loveland, Goshen, Milford, Newtown, Summerside,Mt. Carmel or the surrounding area in OH, then look no further for your veterinarian. Dr. Timothy Fouts is a licensed veterinarian with more than 25 years' experience treating dogs and cats. 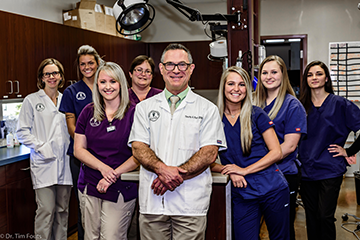 Hillside Small Animal Hospital has been serving Clermont County, Western Brown and Eastern Hamilton counties since 1996. Your pet's health and well being are very important to us and we will take every step to give your pet the best possible care. Hillside Small Animal Hospital loves dogs and cats! We consider ourselves a full service animal hospital which means we treat routine medical, surgical, and dental issues in your pets, including wellness checks and routine vaccination, as well as offering daytime emergency and critical care to your dog or cat, should the need arise. Our doctors are experienced in all types of conditions and treatments. Beyond first rate pet care, we make our clinic comfortable, kid-friendly, and a very calm environment so your pet can relax in the waiting room and look forward to meeting his or her veterinarian. With our wellness care, beginning with vaccinations and spay and neuter services, as well senior pet care, our primary goal is to provide your pet with a long, happy, healthy life. We have a number of resources for you to learn about how to take better care of your pets. Browse around and look at our articles. The best veterinary care starts with wellness care and disease prevention, including proper nutrition, exercise, and regular check-ups for your pet. If you want to ask a question call 513-735-0888 or email us and we'll promptly get back to you. Located near the intersection of SR 32 and Bauer Road, Hillside Small Animal Hospital is very easy to get to, and you can find directions on our Contact Us page. You can also subscribe to our newsletter which is created especially for Batavia pet owners. In between your veterinary visits, your pet will benefit from you reading these free informative articles. 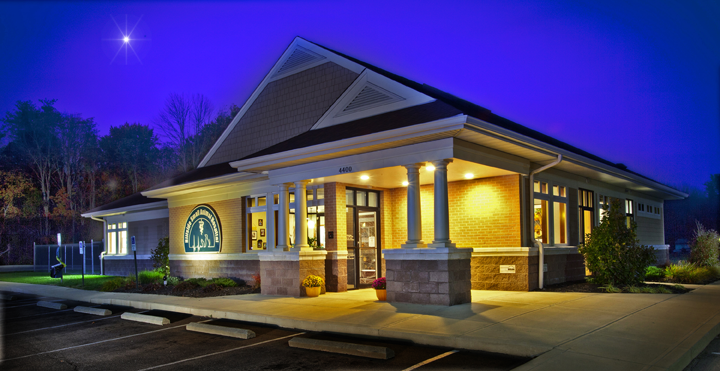 At Hillside Small Animal Hospital, we treat your pets like the valued family members they are. Complimentary exam for new clients. Sign-up using the form or call us at 513-735-0888 to take advantage of this exclusive offer.